Austria is a member of the EU and has signed the Schengen Agreement that standardises border controls (effectively it allows unlimited travel within the member countries). To clarify your legal status, request aid and support with the Austrian administration or inquire legal issues, you might want to talk to your embassy. 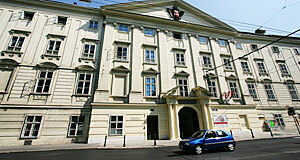 Most embassies are located in the capital Vienna, many in the third district of the city, but several provincial cities have consulates or other diplomatic institutions. Note that I cannot guarantee that the following alphabetical list of embassies in Austria is complete or up-to-date, but I hope that it will be useful for you.